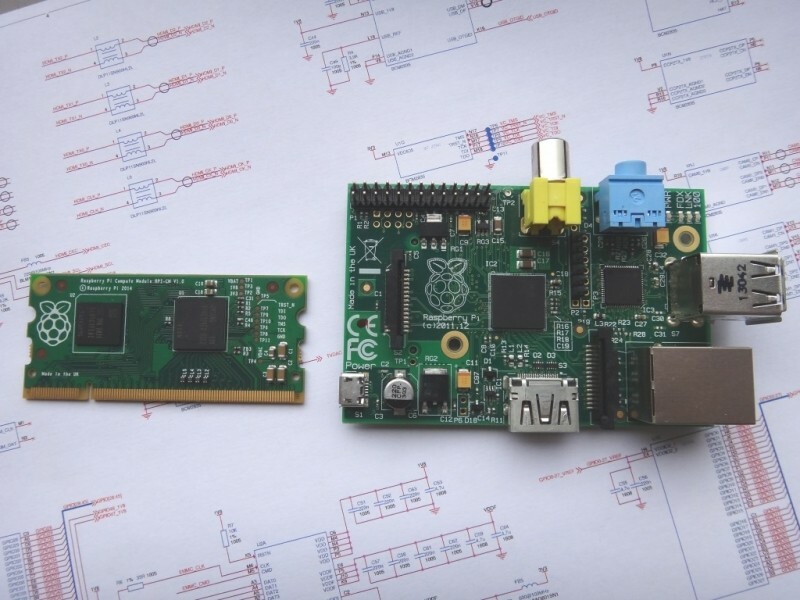 The Raspberry Pi Foundation is looking to increase exposure to its hardware with a new version of its platform aimed at embedded computing devices. The Foundation is introducing the new Raspberry Pi Compute Module with a much smaller form factor and more standard, universal I/O. With the new Compute Module, the Foundation manages to pack the Raspberry Pi’s SoC with 512MB of memory and 4GB of storage onto a board the size of your standard DDR2 laptop memory. The Compute Module is seen above to the left of the standard PI unit. It's not entirely a size thing here though, the company is looking to offer a more universal version of the system, stuffing it on a board with a much more standard connector. This will allow developers to implement the system in whatever way they want as opposed to being tied to the traditional Pi I/O. As reports point out, the Raspberry Pi itself is not entirely open-source as it uses a Broadcom ARM processor for its major functions, but the Foundation is releasing an IO Board alongside the Compute Module that is. The IO Board is essentially an open-source breakout board that can be plugged into the Compute Module allowing the "ability to program the module’s Flash memory, access the processor interfaces in a slightly more friendly fashion," among other things. Hoping to to stir up more buzz surrounding its miniature systems, the Foundation hopes the new products will drive serious industrial and embedded applications for the platform as opposed to the mostly home brew and "builder" projects we see today. The Raspberry Pi Foundation is still very much interested in its educational programs though and is hoping to raise additional funds for those projects with adoption of the Compute Module and IO Board.